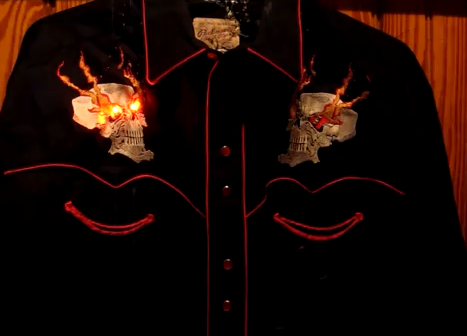 The shirt works via Bluetooth connection with an Android device and a custom app that utilizes the accelerometer in your phone to light the skull eyes up based on your movement from side to side. I think, had he worn it, this could have made up for Nicolas Cage's performance in Ghost Rider. Oh well - too little, too late.